When people think of Symphony Air Coolers, they think of an efficient way to beat the scorching heat. These are powerful coolers engineered to provide comfort at both residential and commercial space. 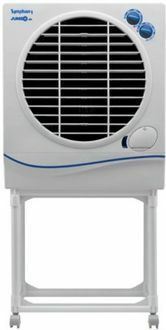 The 7 Symphony Air Coolers mentioned below are perfect for both outdoor and indoor usage. Their weight ranges from 7Kg to 9Kg and with trolley functionality they can be moved easily from one place to another. The water capacity of these coolers lies between 17L to 40L. Thus, you need not have to worry about refilling it frequently in a day. 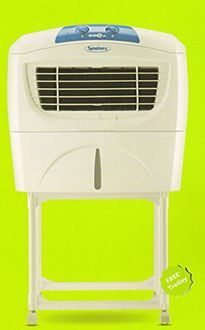 They are energy efficient and come with different speed setting with which you can control the fan/blower speed. With their powerful air throw feature, these coolers can quickly cool down the entire room and provide instant relief from the heat. 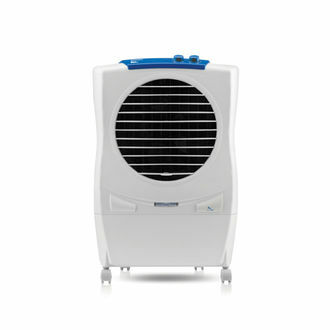 Some other convenience features of the Symphony Air Coolers are mosquito net, cool flow dispenser, inverter power support, etc. 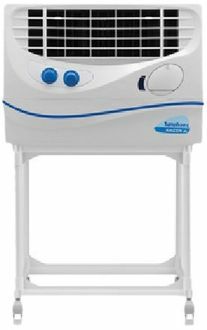 Check out the price list of Symphony room air coolers that has been revived on 20th April 2019. 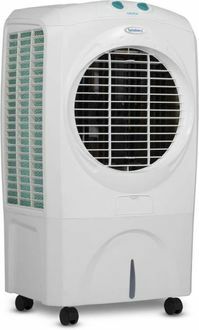 Bring home the epitome of comfort - a Symphony Air Cooler. However, it is imperative to shop smartly and thus, compare its price on MySmartPrice.com. 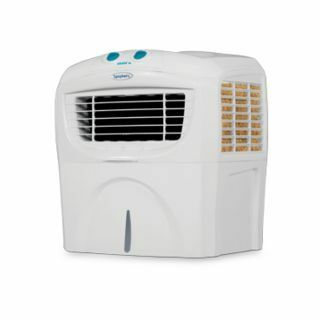 This is a trusted portal that can help you to know the lowest price of Symphony Air Coolers listed on different e-portals such as Amazon, Snapdeal, Shopclues, Infibeam, Tata Cliq, etc. 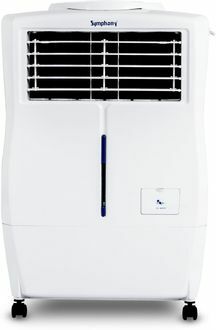 Buy a Symphony Air Cooler online but to get it at the lowest price, shop via MySmartPrice.com as the platform also offers various discounts and cashback on your purchase.